Xenomarine is now in Beta! The game is now complete in terms of having all the content and features originally planned (as well as a whole lot that was not originally planned but was added on the way!) 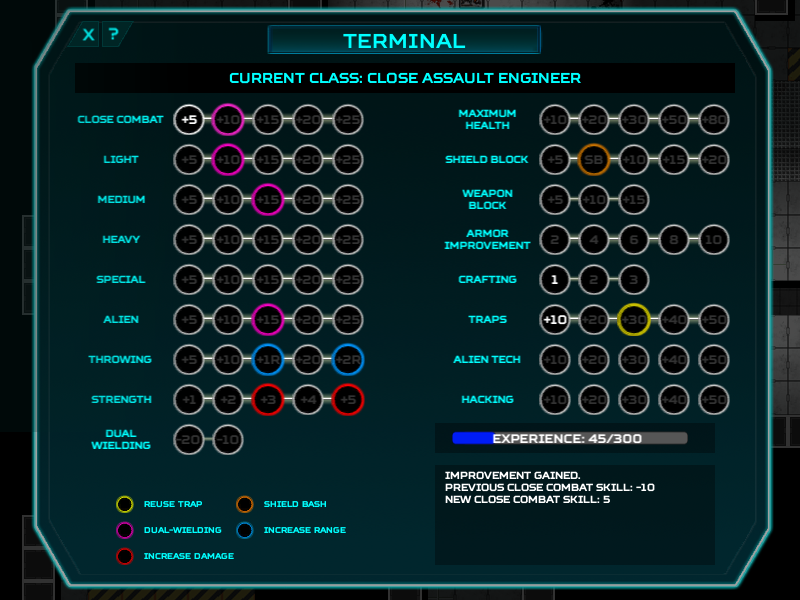 though during Beta there will be further bug fixes and balance adjustments. XENOMARINE is a dark, atmospheric, sci-fi/horror themed roguelike in which you play a space marine exploring an alien-infested space station. Starting out with little more than a crowbar, you will fight to survive against over 120 increasingly powerful alien species, as you progress as far as you can through infinite randomly generated levels. 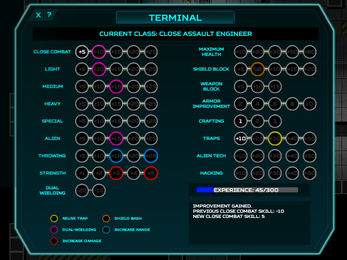 With no starting classes, develop your character entirely by means of in-game choices: choose between over 70 skill levels as you gain experience from combat, and create a unique build each time you play by finding and choosing between hundreds of unique usable items and individually upgradable weapons and armor. WARNING: This game is hard! Expect to die soon and often when first starting out, and in the default 'roguelike' game mode death is permanent - meaning you will have to start again from level 1. But don’t worry: each playthrough will be different because so many parts of the game are randomly generated (in a way that’s carefully fine-tuned for balance). WHAT CAN I DOWNLOAD NOW? XENOMARINE is currently in development, but is available to download in two different versions. With the recently released BETA the game is now complete in terms of mechanics and content, though there may be some bugs. There is also a free DEMO version, consisting of the first 3 levels of the Beta, making it a fun, playable minigame. Full release is expected to be released in Summer 2018 on PC, Mac and Linux. Permadeath ok, but permaprogression ?